A three bedroom modern detached property, situated in a highly sought after location, close to local amenities, reputable schools and with good transport links. The property is situated within a cul-de-sac location, benefiting from entrance hallway, lounge, breakfast kitchen, first floor landing, three bedrooms, and family bathroom. 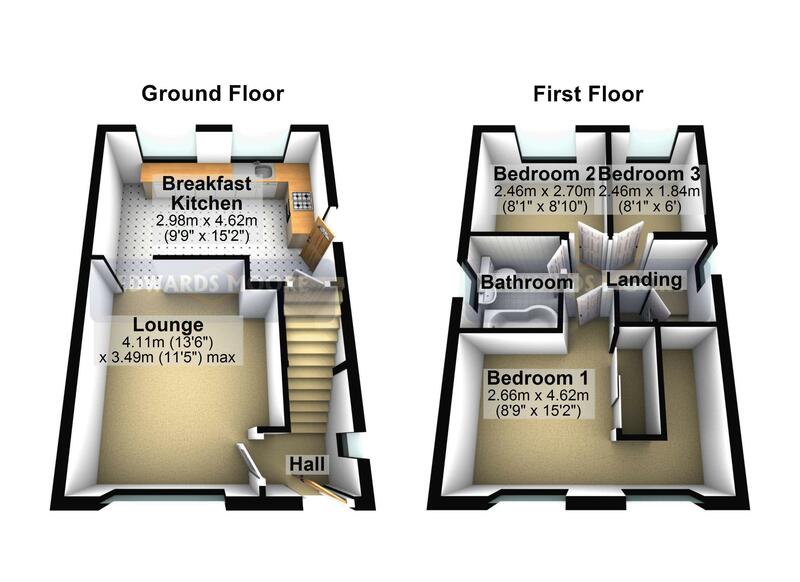 The property also benefits from driveway, gardens front and rear, UPVC double glazing, gas central heating. Internal viewing is highly recommended. 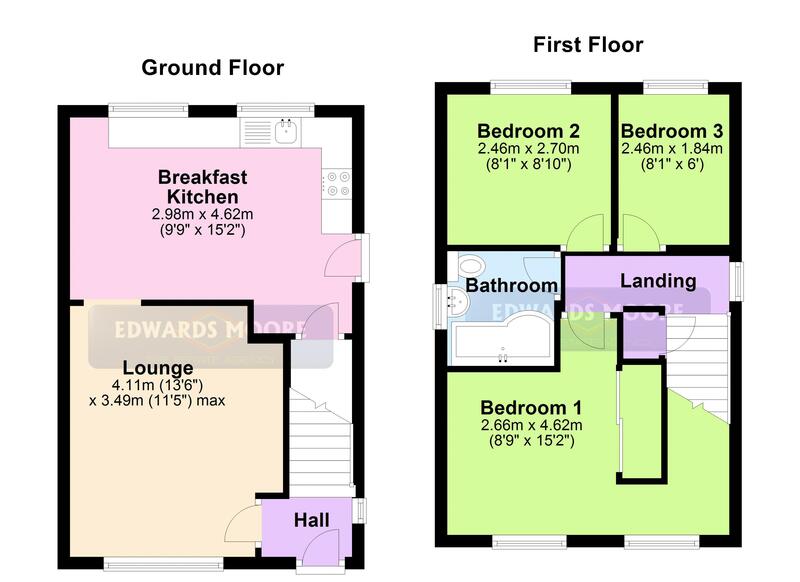 Having stairs off to first floor landing, obscure double glazed window to side, radiator, ceiling light point and door leading to. Having a double glazed leaded window to fore, radiator, ceiling coving, ceiling light point and archway leading to. Having a range of modern wall and base cupboard units, gas hob, oven extractor, plumbing for washing machine, two double glazed windows to rear, under stair storage cupboard, laminate flooring, radiator and uPVC door to garden. Having loft hatch, ceiling light points, double glazed window to side and doors leading off to. Having double glazed windows to fore, two radiators, built in mirrored wardrobes and ceiling light point. Having a P shaped bath with shower attachment, wash hand basin, low level W.C., obscure double glazed window to side and part tiled walls. Having a driveway which leads to front entrance and lawn to side. To the rear of property is a paved patio area, garden shed and boundary fencing.